Break-Away Evasion Unmatched for one on one evasion, reactive speed, agility, and fun fitness training! Short space quickness and reaction skills are targeted as one person leads trying to lose the chaser or defender and cause the tear away connection to come apart in the middle. 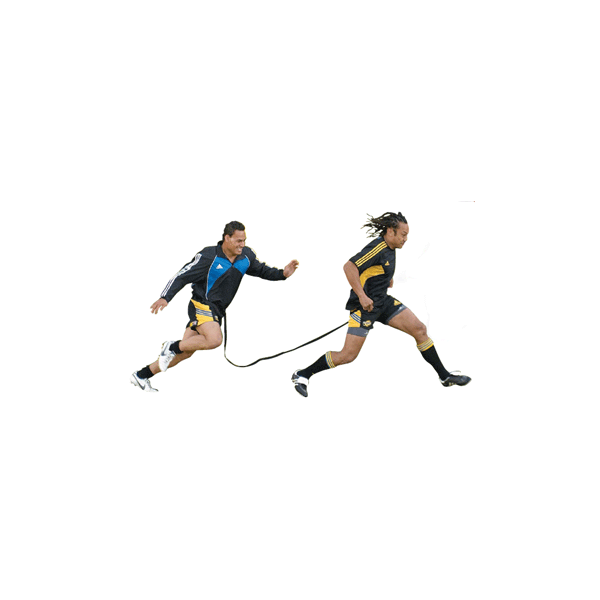 Break-Away Evasion Belt Unmatched for one on one evasion, reactive speed, agility, and fun fitness training! Short space quickness and reaction skills are targeted as one person leads trying to lose the chaser or defender and cause the tear away connection to come apart in the middle.